Creating attendee orientation packets including maps, instructions, credentials, etc. Coordinating AV, stages, tents, power, seating, etc. Since 2016 Secor Strategies has coordinated the NASA Swarmathon. 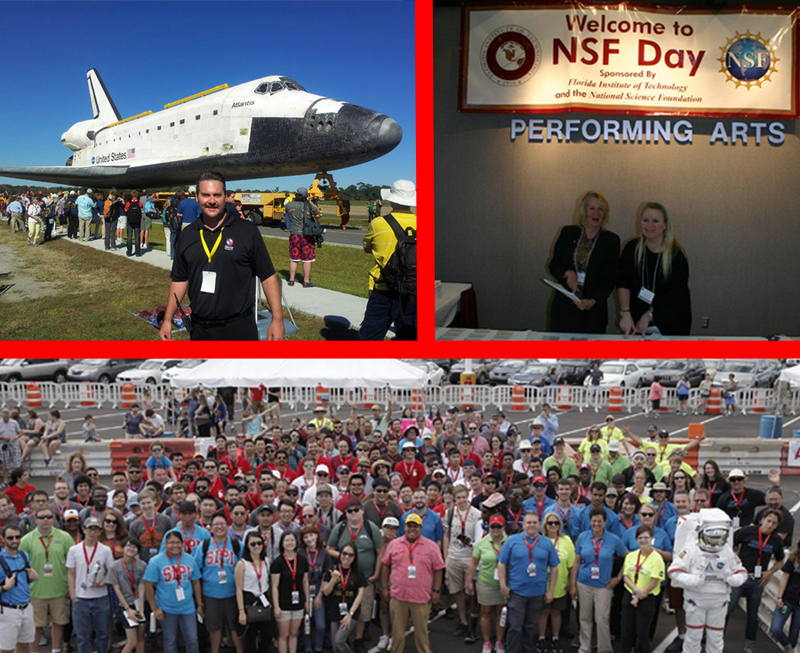 This three day event, which is held at the Kennedy Space Center Visitor Complex, is a national competition which features 30+ different universities and 400+ students. The competition challenges teams to develop new search algorithms for swarming robots. The software code and the robots have the potential to one day be used to explore Mars. Secor Strategies coordinates the set-up of the entire event including tents, arenas, sound systems, cameras, signs, jumbotron, etc. The company is also responsible for live-streaming the competition, publishing the program, working with volunteers, and managing the overall schedule of the event. In 2012, the Kennedy Space Center Visitors Center (managed by Delaware North) hired Secor Strategies to coordinate the rollover of Space Shuttle Atlantis from the NASA Vehicle Assembly Building, to NASA’s Exploration Park, to its final resting place on display at the Kennedy Space Center Visitors Center. The event featured an extended celebration throughout the day at NASA’s Exploration park which included speeches by the NASA Administrator, astronauts, and elected officials. Replicas of launch vehicles were on display from NASA, Space X, Boeing, Sierra Nevada, and other aerospace companies. The event also featured educational activities for children, an air conditioned VIP tent, a media area for satellite trucks and reporters, pop-up retail stores, and food and concessions. More than 5,000 people purchased tickets to attend this historic event.